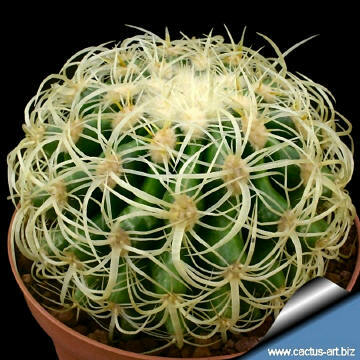 Description: This plant differs from the common Golden barrel cactus (Echinocactus grusonii) only for the odd spination. 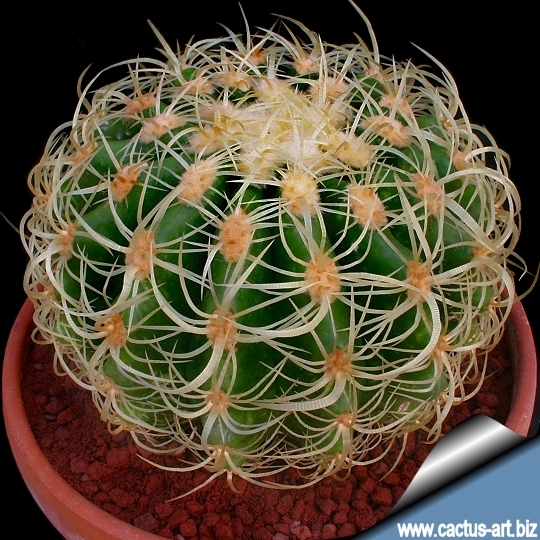 Spines are yellowish-white, sparse, flattish, curved to almost crinkled backward and very irregular, 2 to 6 cm long. Except for the spines it is identical in shape and size to the standard species. It has a single slowly growing globe-shaped stem that became elongated (barrel-shaped) in maturity, up to 90cm in height and spread. This stem is pale green and heavily ribbed with numerous areoles sprouting radial, yellow spines. They normally offset with advanced age and a few multiples occur even at small sizes. 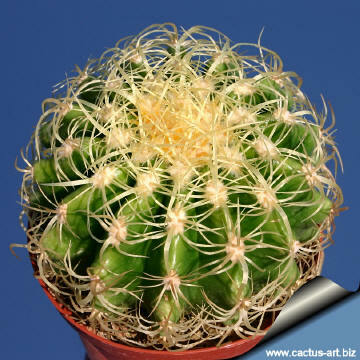 Cultivation: They are a summer-growing and pretty easy plants to cultivate. They are suited for any rich, well drained soil such us clay, pumice, lava grit, and only a little peat or leaf-mould. 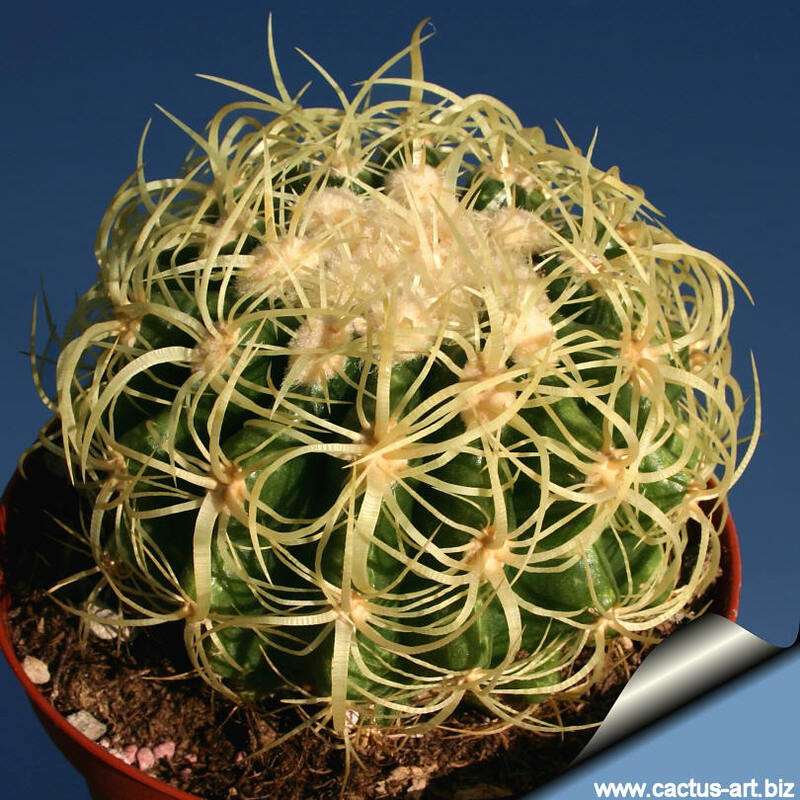 If potted, repot preferably in the spring, if their roots become cramped. 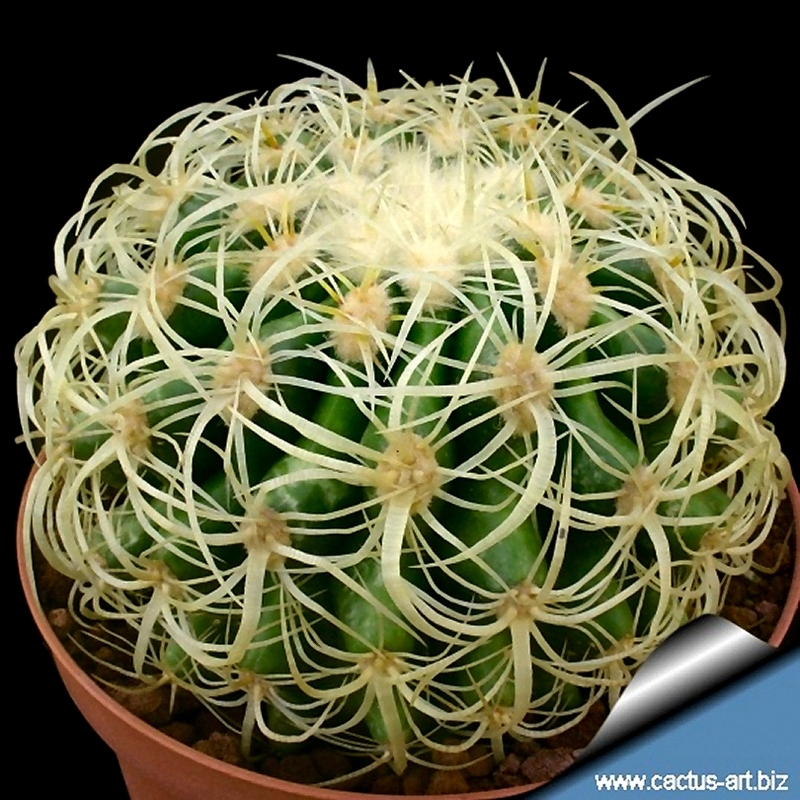 Generally, they should be repotted every other year in order to provide fresh soil. However, this doesn't necessarily mean they'll need larger containers. Fill about a quarter of the pot with broken crocks, gravel, etc. to promote good drainage. 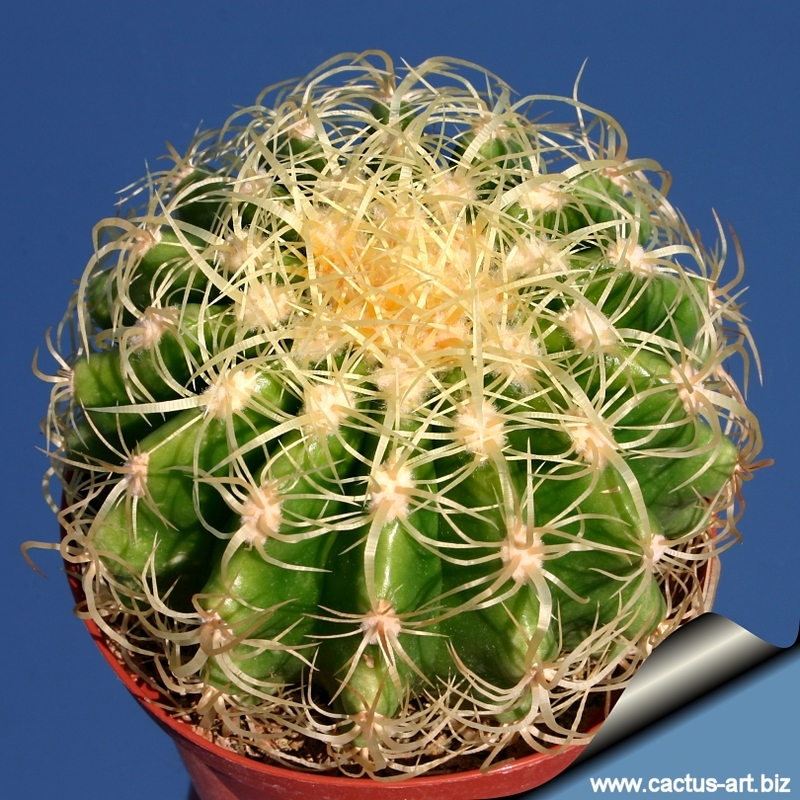 After repotting, do not water for a week or more. Water regularly during the aestival growth cycle (this plant need plenty of water, but do not overwater and let their soil dry out between waterings), and also needs to be avoided wetting the body of this plant while it is in sunlight. 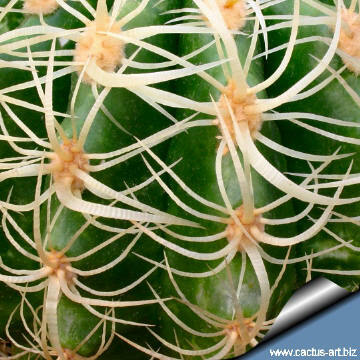 A wet cactus in the sun light can cause sun burning which can lead to scares or even fungal infections and death, keep rather dry in winter. No water should ever be allowed to stand around the roots. Feed with a high potassium fertilizer in summer.